God is with us here on earth, every single day, every single moment. He sent Jesus, His Sone, whom we called him Immanuel to be with us. Seeking the Immanuel is only through reading the Bible, His living word. This is the first week I start the HelloMornings new session challenge. We are studying from the book of Matthew for the next 6 weeks. I got the HelloMornings Power Pack, this is packed with a lot of resources for my God Time, Plan Time and Move Time. Kat Lee, from Inspired To Action, did a podcast about what HelloMornings is all about. You can click here to listen to the podcast and to check out her awesome blog! To do the study every morning, I love reading His word from couple different versions of the Bible, Indonesian and English. One of my favorite English Bible versions is ESV, the other one is NLT (New Living Translation). Couple years ago my husband got me ESV Journaling Bible as Christmas present 🙂 I like this Bible because it has extra space on each side of the page for journaling. This where I can jot down anything comes up when I read the passage right away. You can grab one of this amazing Journaling Bible from Amazon. 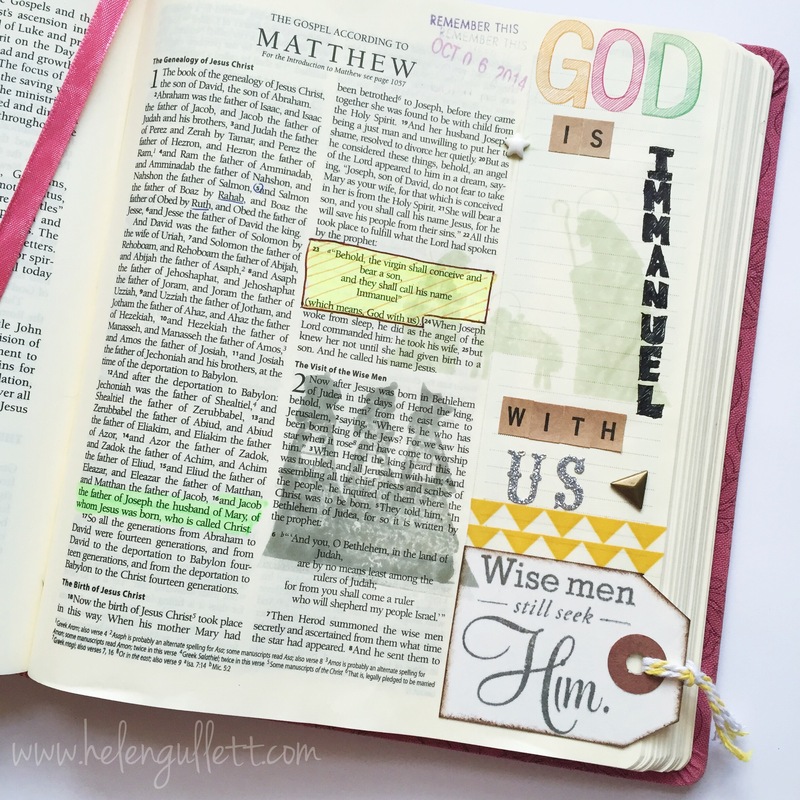 And a couple of months ago, my friend, invited me to join Journaling Bible Community on Facebook. Oh my! I was surprised with this community! These ladies who LOVE God’s word know how to express their loves through art and craft. They encourage each other through sharing the Word. I am so thankful for my friend and for this new community. BothHelloMornings andJournaling Bible Community are 2 communities where God has put me there to be encouraged by others to encourage others. My favorite study Bible is the Amplified. Hello Mornings sounds like a great Bible study challenge! Thanks for sharing at the Pretty Pintastic Party! Hi Alli, thanks for visiting! And yes HelloMornings is a great community for accountability.